Serving drinks in an efficient manner is the key to running a successful bar or tavern, and this Eagle Group BR8-12-24 Spec-Bar® 8 bottle rack can be used with your ice chest to help you do just that! Designed to fit inside your 24" x 12" Eagle Group ice chest, this item includes two racks and two divider walls. The racks are made of vinyl-coated steel wire for excellent rust-resistant in the harshest bar environments. 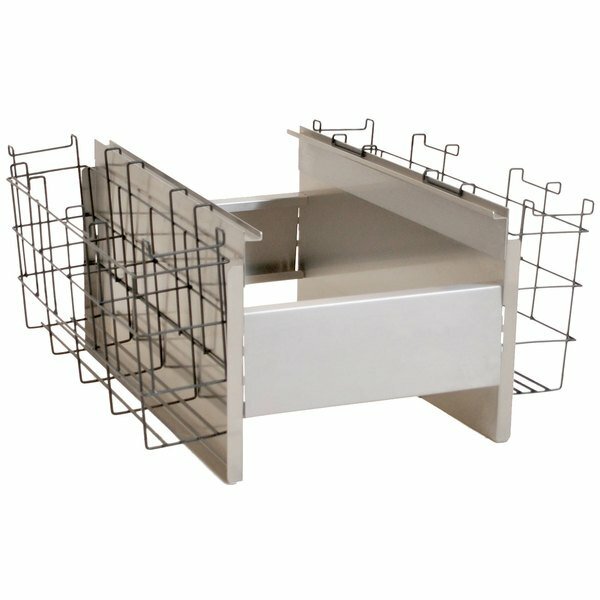 In addition, its 20 gauge, type 304 stainless steel divider walls allow you to store 8 bottles of cocktail mix, liquor, or other bar essentials on a chilled bed of ice while keeping consumable ice on hand in the same unit. Or, if your bottles do not need to be chilled, the wire racks can be used without ice instead! Left to Right (with hooks): 5 3/8"
Front to Back (with hooks): 20 13/16"